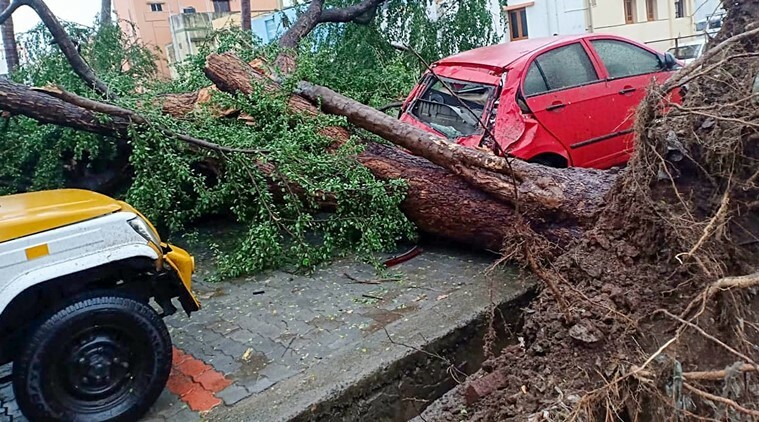 A total of 13 people died and 81,948 were evacuated from low-lying areas after the severe cyclonic storm ‘Gaja’ ripped through Nagapattinam and Vedaranniyam early Friday resulting in a trail of destructions. According to officials, 10 men and three women have died so far. The rescued people have been sheltered in 471 relief centres in six districts including Nagapattinam, Pudukottai, Ramanathapuram and Tiruvarur, PTI reported. CM Palaniswami has announced an ex gratia of Rs 10 lakh from the Chief Minister’s Public Relief Fund for the families of the deceased. He also said that relief work will be taken up on a war-footing and that the work was already underway, PTI reported. He alleged that the Centre did not sanction funds which the state had sought for management of natural disasters.